We finally found a dress yesterday. Whew! It’s nice to have another milestone achieved. Tonight, I’m going to chill for a while, then up and at ’em bright and early in the morning to cook, clean, shop and decorate for the big party on Saturday to celebrate with family and friends. Beautiful dress and beautiful girl. That is such a beautiful dress and it was just perfect for her! Congratulations! My ‘baby’ graduated also. I’m so excited to see what happens next! What an amazing dress! I can see why she wanted to stick with that one. It should serve her well for many formal occasions! Has Ja’Ana ever considered modeling? She is so poised and photogenic. I bet she’d do well. Lovely! 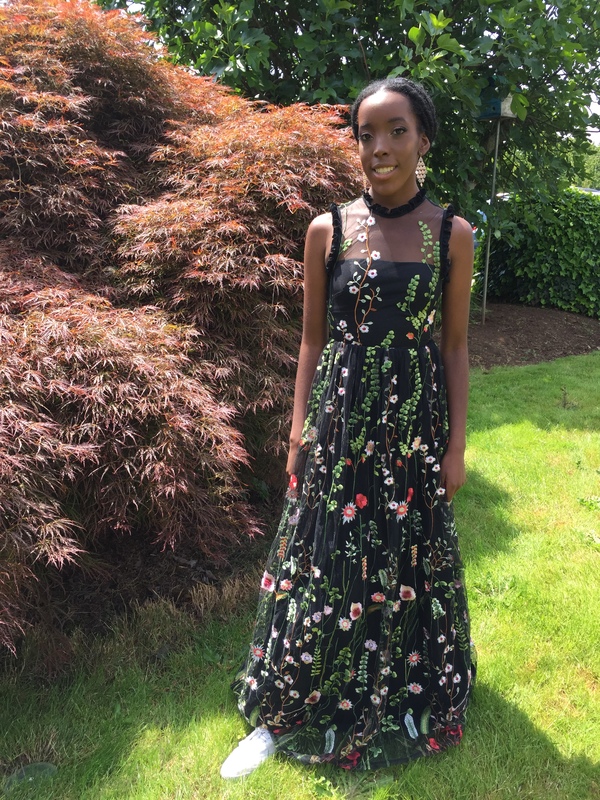 Ja’Ana’s Graduation dress is a dream dress – the design and colours are perfect. 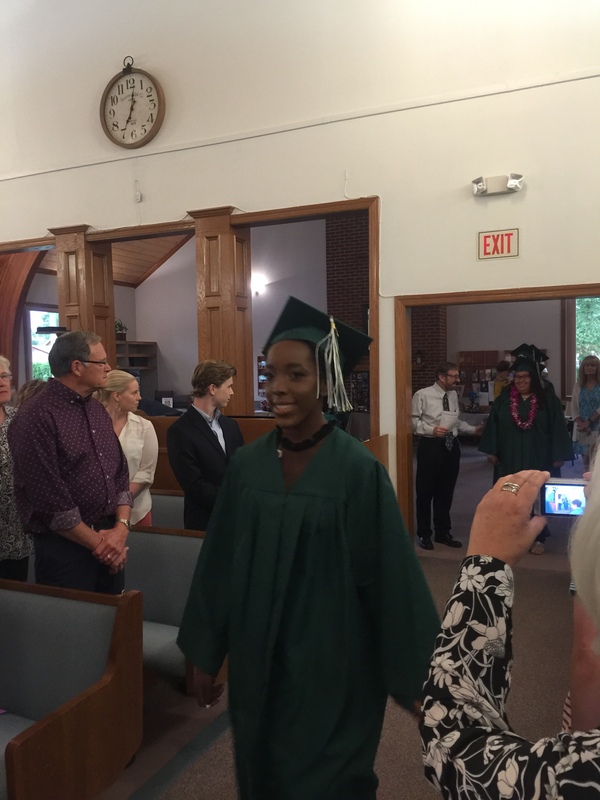 Congratulations Ja’Ana on your Graduation. Thank you Beck and Rob for sharing this milestone with us. I am so happy and relieved that we made it. When you homeschool through a program that has requirements, it’s a lot of pressure on the teacher (me) to make sure we did everything we had to do. Towards the end, it got a bit hairy, but we made it!!! So, thank you for your kind words:). Now, the house still looks like a train wreck hit it, but at least I’ve got the groceries I need to cook up a storm for the party tomorrow. Congratulations! The dress is gorgeous! 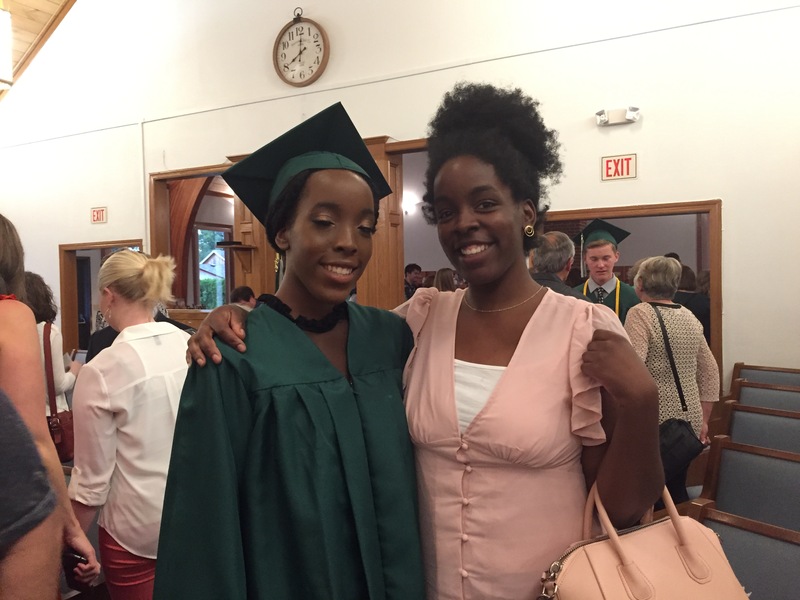 Congratulations and best wishes to Ja’Ana! Her choice of dress is perfect! It’s a lovely dress and looks just right on her. Becky, I know you moderate the comments; you don’t need to publish this if you’d rather not. But, I saw your comment on Debbie’s blog about hearing from the school district, and just wanted you to know that I am very sorry to hear about it (I left a comment on that blog, too, in response). I am sure things will turn out just fine, but I will be keeping you in my prayers as you go forward. Well done Mom & Dad ! Congratulations to you all! 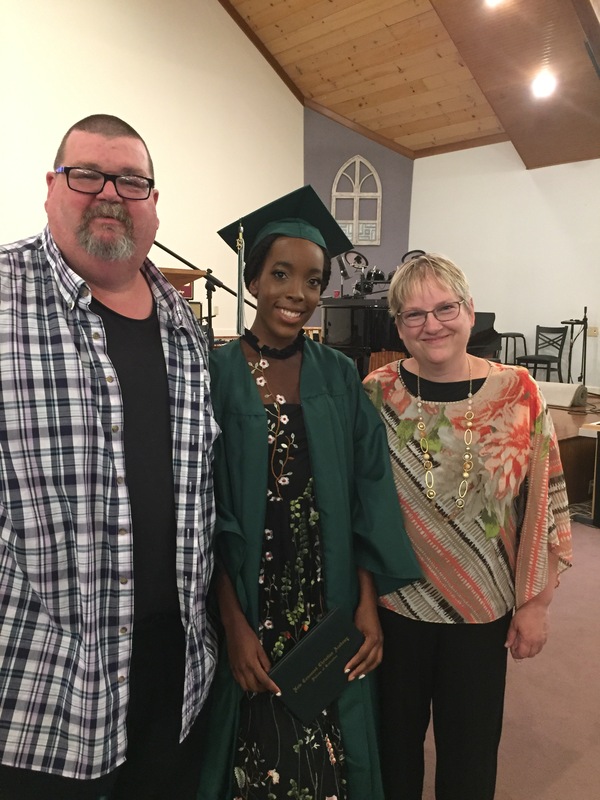 Congratulations to Ja’Ana! She looks lovely in that dress and I agree that she could easily be a model. Thank you. 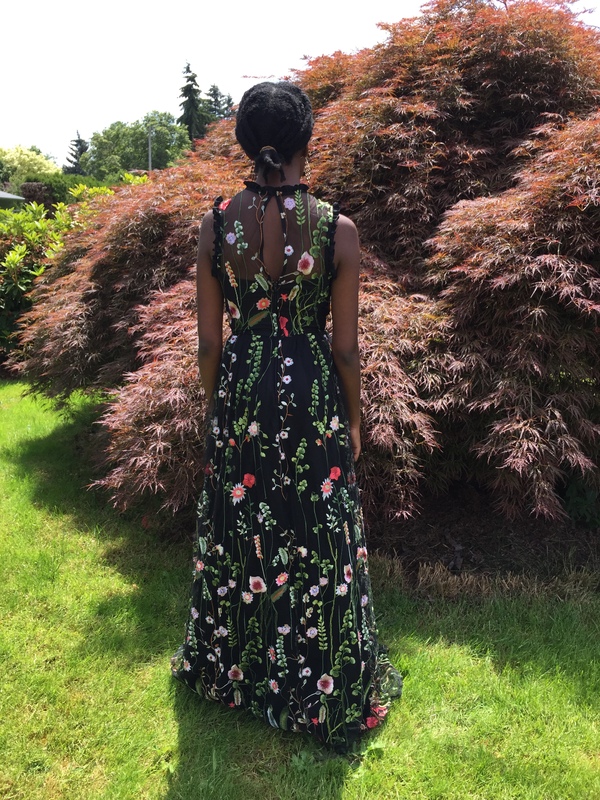 I love the black, long, floral dress. The dress is perfect on her–just dressy enough but totally wearable for other occasions. I hate buying dresses that won’t be worn again and again! Thank you. I love the black dress so much. Ja’na’s dress was beautiful. I love the sheer top part and the flowers running up. What a special time. Congrats to all. I’ve got to say that the dress is one of my all-time favorites that any of my 6 girls have worn for any occasion. I just love it, too! I LOVE the dress and especially enjoy seeing young girls who choose modesty over fashion. Good job Mom and Dad! Since my views and hers are so different on what we like/think is modest/etc., I was over the moon that she found one we both liked, and was so lovely. And, she is a good bargain hunter, too, and it was marked down significantly, so I could afford it. Truthfully, I was getting so stressed and pressured because we only had 1 day left, I would have paid full price, but was glad I didn’t have to.